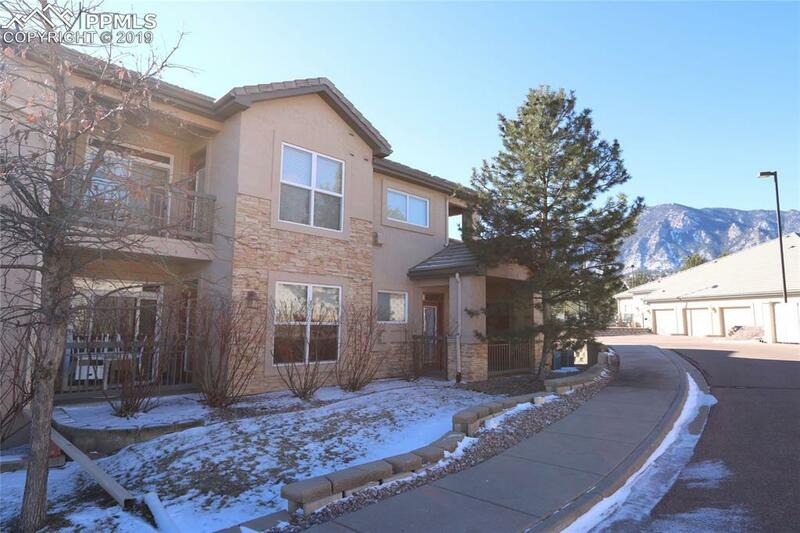 Rare 3 bedroom, main level condo at the base of Cheyenne Mountain! D-12 schools. 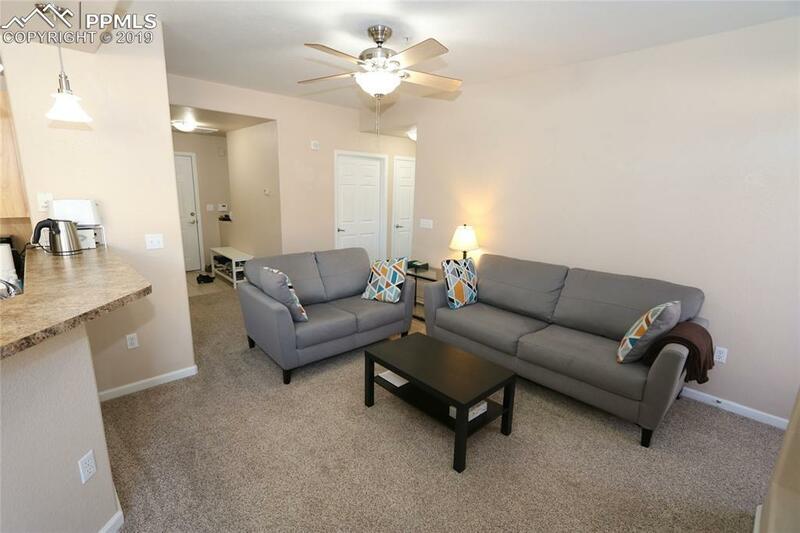 3 bedrooms, 2 baths, garage, storage unit. Neutral paint and carpet, tiled kitchen and baths. 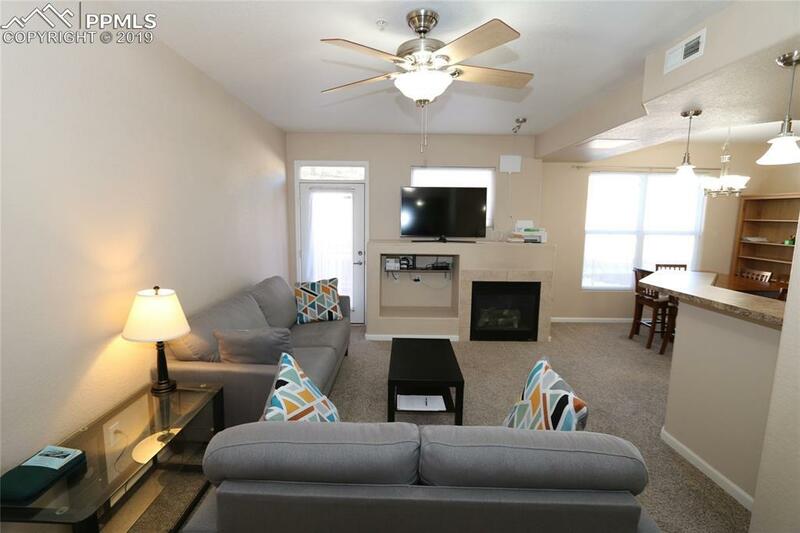 Gas fireplace, A/C, ceiling fans. 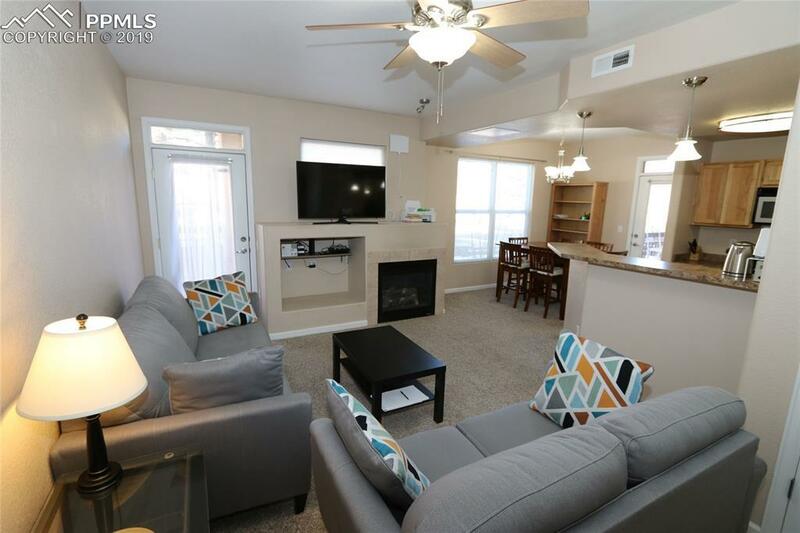 All kitchen appliances included. Washer and dryer included (currently in storage unit).